These stylish nickel plated keyrings are a lower cost version of our hugely popular silver plated rectangle shaped keyrings. They have a sturdy metal base with a polished nickel plated finish, and are supplied tissue-wrapped in a sepia coloured presentation box. 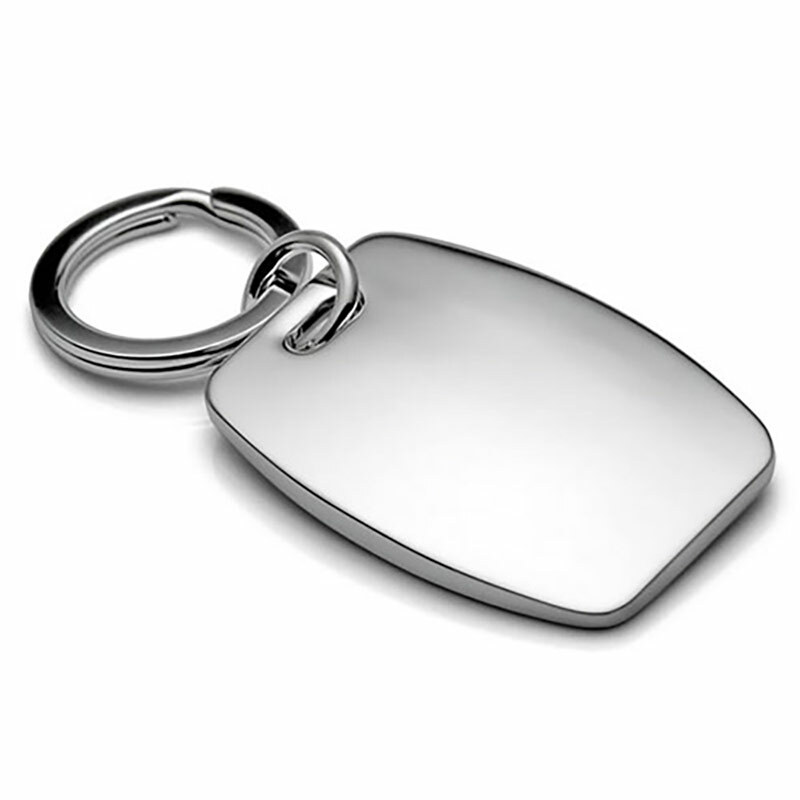 The body of these keyrings is perfect for engraving to create personalised keyrings, engraved corporate keyrings, or branded promotional keyrings. They are offered here with free engraving of text and logos along with bulk order discounts (see price matrix, below) and low, fixed cost UK delivery.